You know those candy necklaces you used to wear as a kid? Well, prepare yourself as they've just received a Chanel update. You may remember earlier this week we brought you complete coverage of the Chanel supermarket show for AW2014 from Paris Fashion Week. Following the show, there were special previews of the collection in Paris and plenty of editors in attendance to give us a closer look at the collection. 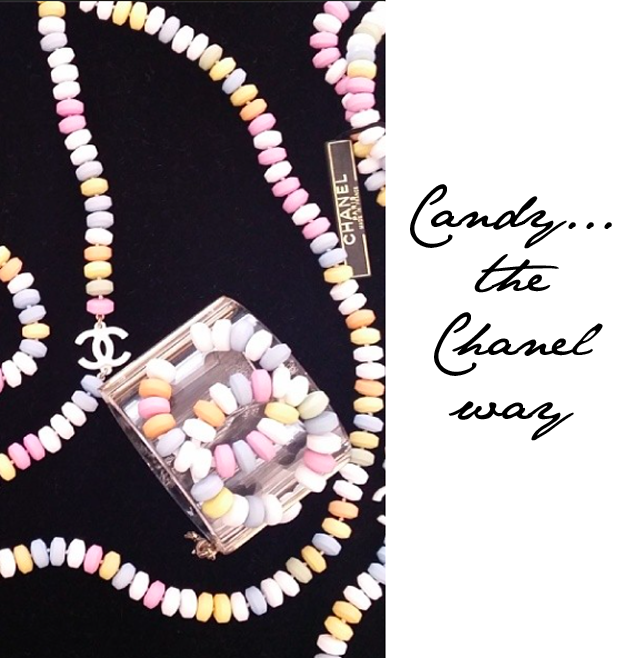 The one collection of items that stood out amongst the rest brought us right back to our childhood - Chanel candy necklaces! Oh, and there's a cuff too. Anyone else dying to get your hands on these ASAP? Somehow we think they won't be edible. Shame! Although for what they probably cost, that would be the most expensive candy necklace you've ever eaten.